The Boy Scouts of America’s Greater New York Councils will have a team of eight runners racing in Sunday’s New York City Marathon. 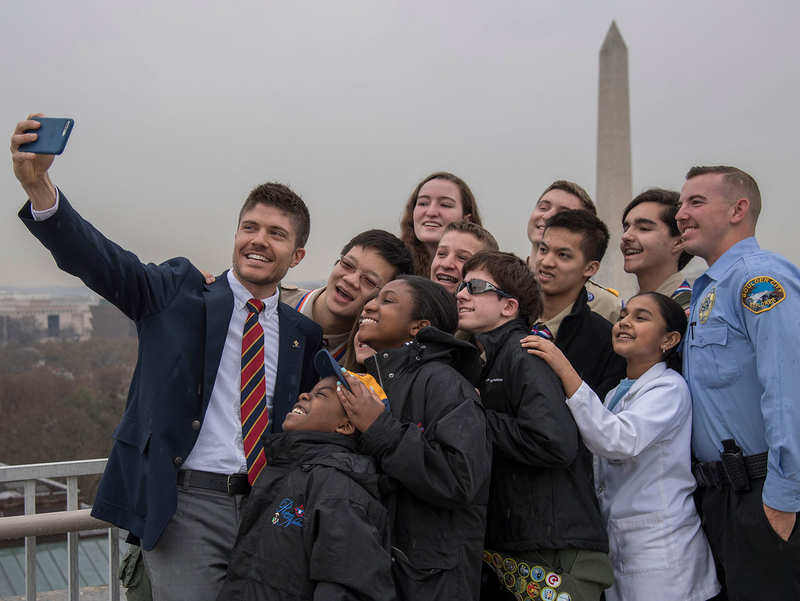 And though they’ll comprise a tiny percentage of the 50,000 finishers expected, their impact will be huge: They’ll help the Greater New York Councils (GNYC) raise awareness about Scouting and Exploring in New York City. With some 50,000 finishers, the NYC Marathon is the world’s largest marathon. The GNYC marathon effort, led by chairwoman and GNYC board member Ellen R. Harris, is the result of a partnership between the council and the New York Road Runners, the organization that puts on the race. I first blogged about the GNYC marathon team in May; proceeds went to help the Greater New York Councils. Want to follow along without breaking a sweat? Race waves begin at 9:40 a.m. (Eastern) on Sunday, and you can track the runners online through the website or mobile app. The runners will be wearing special shirts with the BSA logo and the names of Boy Scouts of America and Greater New York Councils on the back. The GNYC Scout Executive is a longtime marathoner and wants an opportunity to help raise the visibility of Scouting in New York City. I’m proud to say I have run with him before — at the BSA’s Top Hands meeting in Washington, D.C.
A Scout Leader from Queens, N.Y.,who has “racing in the NYC Marathon” as an item on his bucket list. A leader from Staten Island, N.Y., who says Scouting was a major influence in his life growing up and wants to give back to the organization. Associate Director of the National Eagle Scout Association and Scouting Alumni Association at the BSA’s headquarters in Texas. Ryan says this is the right cause at the right time. She says it will be an honor to run her first marathon in New York City representing the Boy Scouts of America, an organization she learned a lot about through Ethan Draddy. She says many of her family members are or were involved in Scouting, as well as many friends. He was a Boy Scout in New York City as a youth and wants to keep it strong for his three sons who are about to become of Scouting age. He’s a district executive from the Bronx, N.Y., who says he thinks the marathon will be fun. Hat tip: Thanks to GNYC Development Director Cedric Bodley and Scout Executive Ethan Draddy for the info.